This is a work in progress, please check back as we add many more alumni and alumni companies. The following list doesn’t necessarily indicate where Alumni are from, but where they are currently based. Please contact Dell’Arte if you would like to be included on this list! Dell’Arte is offering alumni of the PTP/MFA/AEP programs the opportunity to apply for limited funds to showcase this logo on promotional material of alumni work. To make a request, please send your name, program completed and year, a brief description of your project and where the logo would be featured to Associate Director of Admissions Janessa at janessa@dellarte.com. The cutoff to apply for 2017 funds is May 1 2017, but please feel free to apply beforehand as funds will be disbursed as projects are accepted. Funding amount may vary closely around the amount of $150. Fringe Festivals will not be included for consideration this year, but possibly in the future! 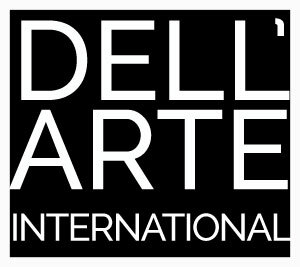 If you have trained at Dell’Arte as part of our PTP program or MFA/AEP program and would like to include this logo on your website or material regardless of receiving funds as well, we happily invite you to do so! Use the alumni logos on this page. The Dell’Arte Alumni Association is back! After a fantastic 40th Reunion this summer in Blue Lake, we’re happy to announce the re-birth of the Dell’Arte Alumni Association. All graduates are automatically members. During the Reunion, many alums expressed interest in staying involved with the School and with each other more consistently, and the Alumni Association is a way to do just that. We’d like to establish chapters in Los Angeles, San Francisco, New York, Minneapolis, Portland, and cities in Canada, as well as chapters in Europe, Asia, Africa, and South America.Your Alumni Association is a resource for connecting with other grads in your area and beyond, sharing contacts, information, work, stories and community. Connect us with prospective students. Just send them to Matt Chapman, Admissions Director, matt@dellarte.com. Connect us with folks interested in supporting student scholarships. Just invite them to contact Fran Beatty, Executive Director, fran@dellarte.com.